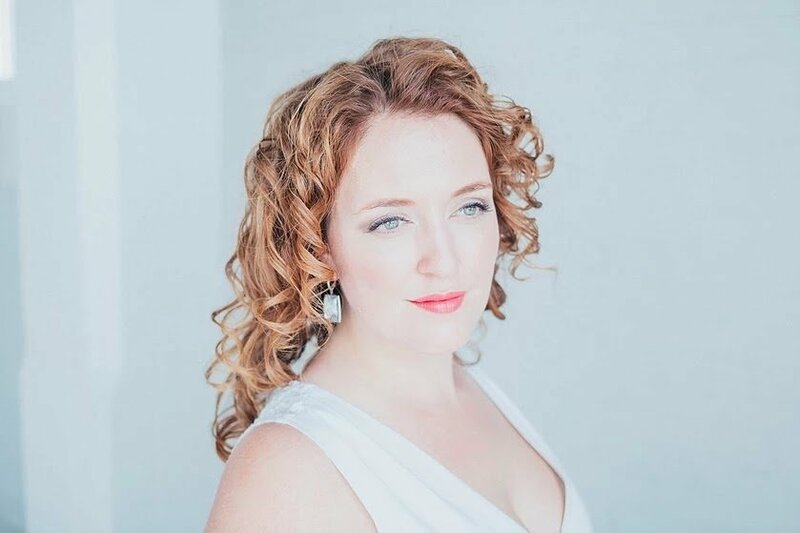 Hailed as a “superb discovery” by Operà Magazine, Canadian soprano Jessica Strong has been praised for possessing “a powerful top, a seductive vibrato and assured coloratura” (Opera Canada). This season Ms. Strong will return to her hometown in Winnipeg, Canada, to make her debut with Manitoba Opera as Donna Anna in Don Giovanni. She also joins the Winnipeg Symphony Orchestra as the soprano soloist in Handel’s Messiah. Recent highlights saw her debut the title role of Barber’s _Vanessa,_ and star as Marta in Weinberg’s rarely performed _Die Passagierin,_ both with Oper Frankfurt. She is thrilled to be a 2018 Research and Creation grant recipient from the Canada Council for the Arts, as well as a second time grant recipient from FACTOR (The Foundation Assisting Canadian Talent On Recording). During the 2016⁄17 season, she sang with Opera Vlaanderen as Amelia in Simon Boccanegra, and debuted three roles with Oper Frankfurt, including Alice Ford in Falstaff, Lina in Verdi’s rarely performed Stiffelio, and Donna Anna in Mozart’s Don Giovanni. She was also a recipient of a 2016 Career Development Grant from the Sylva Gelber Music Foundation, and a grant from FACTOR. As a member of the Internationales Opernstudio of Oper Frankfurt, Ms. Strong had many successes. She made her company debut singing Amelia Grimaldi in Verdi’s _Simon Boccanegra_ and sang to rave reviews of her performance as the Prima Donna Rosa in Fioravanti’s Le Cantatrici Villane, where critics praised her soaring high notes, brilliant coloratura, dramatic artistry and alluring stage presence. In addition, she made her Wagnerian debut as Woglinde in both _Das Rheingold_ and _Götterdämmerung_ and Siegrune in _Die Walküre,_ appeared as one of the Sirens in the world premiere of Rolf Riehm’s Sirenen – Bilder des Begehrens, as Virtù/Pallade in Monteverdi’s L’Incoronazione di Poppea, several small roles in Puccini’s Il Trittico, and Elonora in Martinů’s Tränen des Messers. Ms. Strong was very active in Frankfurt’s Oper für Kinder outreach program, which saw her perform in productions of _Der Fliegende Holländer_ (Senta), _Le Nozze di Figaro_ (Contessa), _Hänsel und Gretel_ (Mother), and Die Entführung aus dem Serail(Konstanze). During her first year in the studio, she also returned to Canada to perform recitals in Winnipeg and Southern Manitoba, and made an exciting role debut as Micaëla in Bizet’s _Carmen_ with Calgary Opera. In 2013⁄14, Ms. Strong made her Canadian stage debut with Calgary Opera singing Rossini’s L’Italiana in Algeri, where she was praised for her “powerful, charismatic soprano” in her “stand out” performance as Elvira. A graduate of their Emerging Artist Program, Jessica performed Annina in _La Traviata_ (Violetta cover), the title role in Il Segreto di Susanna, and Ginevra in Handel’s Ariodante. Other roles include Alice Ford in _Falstaff_ and Mimi in _La Boheme_ with Calgary Opera (covers); Donna Elvira in Don Giovanni, Gretel in Hansel and Gretel, Frasquita in Carmen, Cunegonde in Candide, and Clarice in _Il Mondo della Luna_ at the University of Toronto; Anne Truelove in _The Rake’s Progress_ and Violetta in _La Traviata_ at the Music Academy of the West; Rosalinde in _Die Fledermaus_ with Opera NUOVA; and Helena in Britten’s _A Midsummer Night’s Dream_ at the Aspen Music Festival (cover). Ms. Strong has appeared in concert with the St. Lawrence String Quartet, the Winnipeg Symphony Orchestra, the Calgary Philharmonic Orchestra, The Calgary Festival Chorus, The Aldeburgh Connection, The Musical Offering, Canzona, and at Carnegie Halls’ Zankel Hall as a participant in ‘The Song Continues’ with Marilyn Horne and Jessye Norman. Her repertoire includes Beethoven’s Mass in C Major, Brahms’ Deutsches Requiem, Chausson’s Chanson perpétuelle, Fauré’s Requiem, Handel’s The Choice of Hercules and The Messiah, Mozart’s Exsultate jubilate, Mendelssohn’s Elijah and Symphony No. 2 ‘Lobgesang’, Orff’s Carmina Burana, and Strauss’ Vier letzte lieder. Jessica obtained a Master of Music from the University of Toronto Opera Division, and a Bachelor of Music from the University of Manitoba. She also holds an A.R.C.T. from the Royal Conservatory of Music. She has received additional training from Calgary Opera (2011-13) the Toronto Summer Music Festival (2013), the Music Academy of the West (2012), the Aspen Music Festival (2011, 2010), St. Andrews by the Sea (2013, 2008) and Opera NUOVA (2008). Jessica currently studies voice with acclaimed sopranos Nelly Miricioiu and Edith Wiens, and has also studied with Wendy Nielsen, Lorna MacDonald, Valdine Anderson, and Marilyn Horne. Ms. Strong is the recipient of numerous prizes and awards. Most recently, she was named a 2016 grant recipient of the Sylva Gelber Music Foundation and FACTOR. In addition, she has won prizes from the National Music Festival (1st place), the WMC McLellan Competition (1st prize), the Metropolitan Opera National Council Auditions (National Semi Finalist and 1st place Northwest Region), the Hans Gabor Belvedere Competition (Semi Finalist), the George London Foundation (Finalist), the Marilyn Horne Song Competition (Runner Up), the Houston Grand Opera McCollum Competition (Semi Finalist), the Canada Council for the Arts, the Vancouver Opera Guild, the Solti Foundation, and the Jacqueline Desmarais Foundation. Jessica is a member of Canadian Actors’ Equity Association (CAEA) and Alliance of Canadian Cinema, Television and Radio Artists (ACTRA).